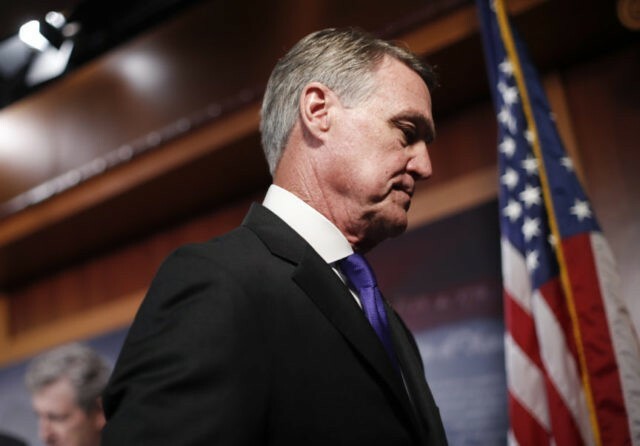 Sen. David Perdue (R-GA) told Breitbart News on Thursday that, despite some media reports, there remains a “five-alarm crisis” at the southern border and President Donald Trump is right to take action to protect the American people. Sen. Perdue told Breitbart News that there remains a crisis at the southern border and that ending illegal immigration requires more than a wall–America needs more border patrol agents and needs to close asylum loopholes. Perdue’s comment arises as an increasing number of Senate Republicans have signaled that they will vote a Democrat resolution that would nullify President Trump’s national emergency to build the wall along the southern border. As many Senate GOP lawmakers continue to mull over whether buck the president on the national emergency, illegal immigration is projected to exceed Obama-era levels. President Trump has continued to stress the need for a more secure border, noting that border patrol agents will likely arrest more than one million people crossing the border.